We are offering Tube Crimping Machine to our client. 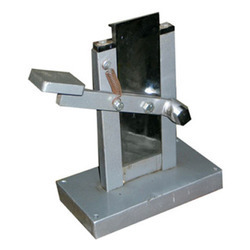 Listening to the major demands and venerations of our customers in this industry, we have been deeply affianced in the delivery of an exquisite range of Manual Tube Crimping Machine. - Portable compact (weight: 7 kg) model. Designed using modern technique as per client's specifications, these products find vast usage in the filling of a wide array of products that include liquid and semi – liquid material. Ointments, Adhesives, Cold Creams, Shaving Creams and Syrups are packaged using this machine. 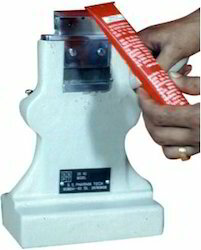 The machine is used for closing and folding the ends of tubes while simultaneously marking the Batch Nos. & Mfg. Codes. Available in two models, size 3/8 to 1 ½ Dia. And 1 to 2 1/2 Dia. Hardened alphabets and numbers for embossing available from ‘0’ to ‘9’ and ‘A’ to ‘z’.